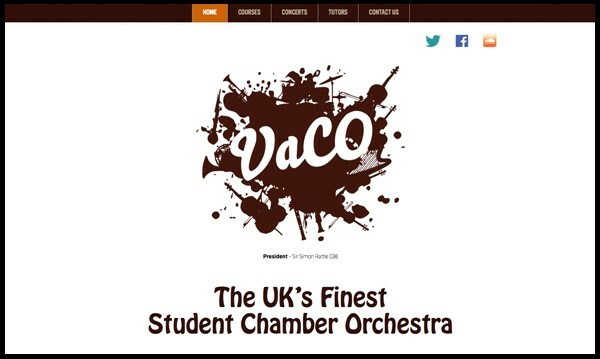 With responsive design and custom events & course booking – this new website for Vacation Chamber Orchestras was an enjoyable project to work on. Custom features always require careful consideration, planning and client/developer discussion. 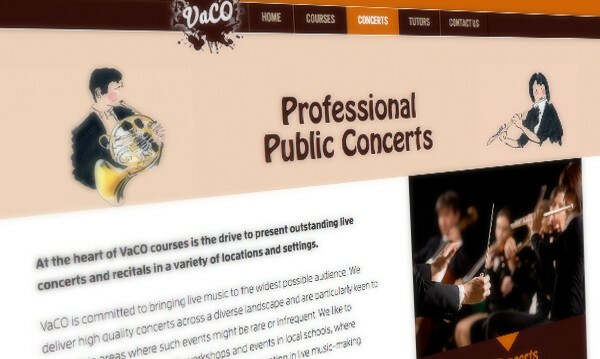 We worked closely with VaCO to ensure that the finer technical points surrounding events booking and payment integration were bespoke to their needs whilst maintaining simple and reliable user experience. 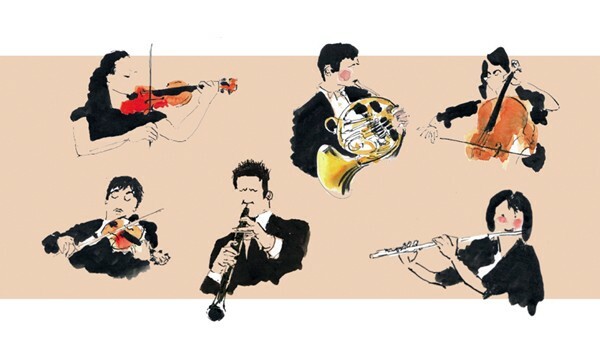 It was also once again a pleasure to work with David Stead (davidsteadgallery.co.uk), who produced the musician illustrations seen throughout the site. 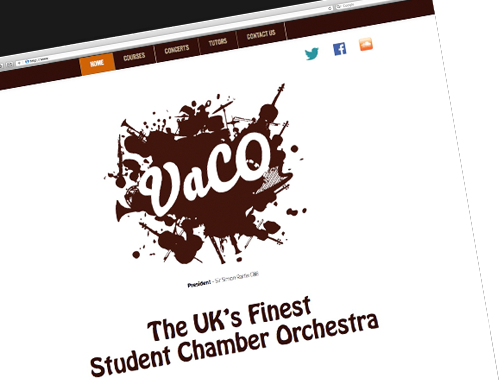 One of the easiest, most effective, artistic and efficient website designers we have dealt with. Green Lane Group are to be thoroughly recommended if you want something up to date, sympathetic yet slick.